(Bloomberg) -- The billionaire owners of Purdue Pharma LP were sued by New York state for allegedly triggering a U.S. addiction epidemic with their marketing of the Oxycontin painkiller, just two days after the company agreed to pay $270 million to settle similar claims by Oklahoma. The amended complaint adds the embattled Sackler family to the state’s lawsuit against Purdue and its biggest competitors and distributors, including Johnson & Johnson and Cardinal Health Inc. New York says the defendants pushed doctors to issue prescriptions, lied about the risk of addiction and ignored red flags from suspicious pharmacies. 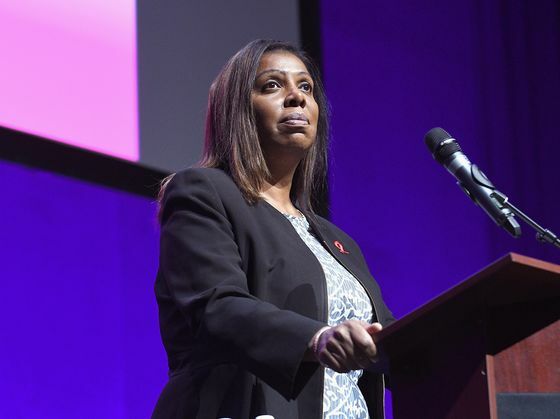 “Simply put, they put profit over patients,” New York Attorney General Letitia James said Thursday at a press conference in Manhattan announcing the new claims. 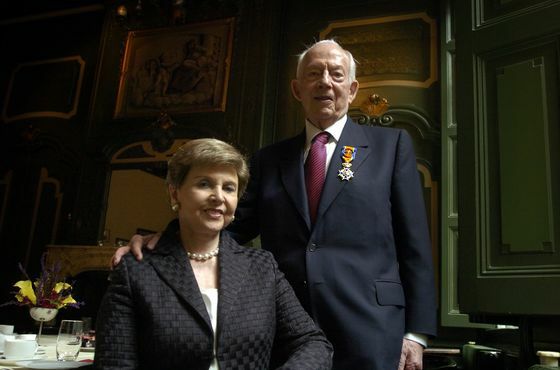 The Sacklers “profited off the suffering, the death of New Yorkers,” she said. The suit in New York state court, which James said is the most extensive of its kind in the U.S., adds to the potentially massive legal liability that has led Purdue to threaten filing for bankruptcy. Meanwhile, states and local governments have targeted the Sackler family’s wealth in an effort to recoup billions spent on the social costs of opioid addiction. More than 1,600 suits against opioid makers have been consolidated in federal court Ohio, and other cases are pending in state courts. “We allege that the family has illicitly transferred funds from Purdue to personal trusts so they are potentially outside the reach of law enforcement and our efforts to seek restitution and penalties,” James, a Democrat who took office in January, said at a press conference. The Sackler family denied the claims. The Sacklers have also been sued by a group of more than 500cities and counties, in a case filed in New York, and the state of Massachusetts. While the family denies wrongdoing, the publicity has led some in the art world to protest museums that have received donations from the Sacklers. Among the details in her 258-page complaint are quoted remarks from the 1996 launch party for OxyContin, where former Purdue Chief Executive Officer Richard Sackler allegedly asked the audience to imagine a series of natural disasters, such as earthquakes, erupting volcanoes and blizzards. James said the Sacklers sought to "hide the vast fortunes" from the alleged scheme to keep it from being clawed back through legal actions. New York will seek financial penalties from the family, she said. James also focused on Cardinal Health, which she said was the biggest distributor of opioid drugs in New York since 2010. Cardinal Health has sent a total of 780 million oxycodone pills to pharmacies in the state, James said, including those the company repeatedly flagged for suspicious orders. Cardinal Health disregarded the concerns of its own employees and failed to properly train compliance personnel or sales representatives, she said. Purdue is accused of instigating the crisis. Purdue said in a statement that OxyContin makes up less than 2 percent of total opioid U.S. prescriptions and is approved by regulators. "Such serious allegations demand clear evidence linking the conduct alleged to the harm described, but we believe the state fails to show such causation and offers little evidence to support its sweeping legal claims," it said. The Oklahoma settlement by Purdue and the Sacklers came two months before the scheduled start of a trial against the company, Johnson & Johnson, Teva Pharmaceutical Industries Inc. and other opioid makers. The trial is set for May against companies other than Purdue. The New York case is In Re Opioid Litigation, Index no. 40000/2017, Supreme Court of New York, Suffolk County. J&J, based in New Brunswick, New Jersey, and its Janssen Pharmaceuticals subsidiary. Mallinckrodt Plc, with headquarters in Staines-Upon-Thames, Britain. Endo International Plc, with global headquarters in Dublin. Teva Pharmaceutical Industries Ltd., with headquarters in Petah Tikva, Israel, and units Cephalon Inc. and Actavis Pharma Inc.
Allergan Plc, which is based in Dublin. McKesson Corp., based in San Francisco. AmerisourceBergen Corp., based in Chesterbrook, Pennsylvania. Cardinal Health Inc., based in Dublin, Ohio. Rochester Drug Cooperative Inc., based in Rochester, New York.